State regulators have approved a site permit for what will become Minnesota's largest solar energy project. Geronimo Energy's Aurora project will build up to 21 solar generation facilities across the state to supply electricity to Xcel Energy customers. Expected to generate 100 megawatts, it will provide enough electricity to power about 20,000 homes. Geronimo officials have said that placing the large solar installations throughout the state will ensure that cloudy weather over one installation won't hamper the entire system. "This project is unique because it's designed to be delivered directly into Xcel's distribution system, as opposed to a larger plant or even a wind project that might be located more remotely, which sends electricity over high voltage transmission lines," said Betsy Engelking, a Geronimo Energy vice president. 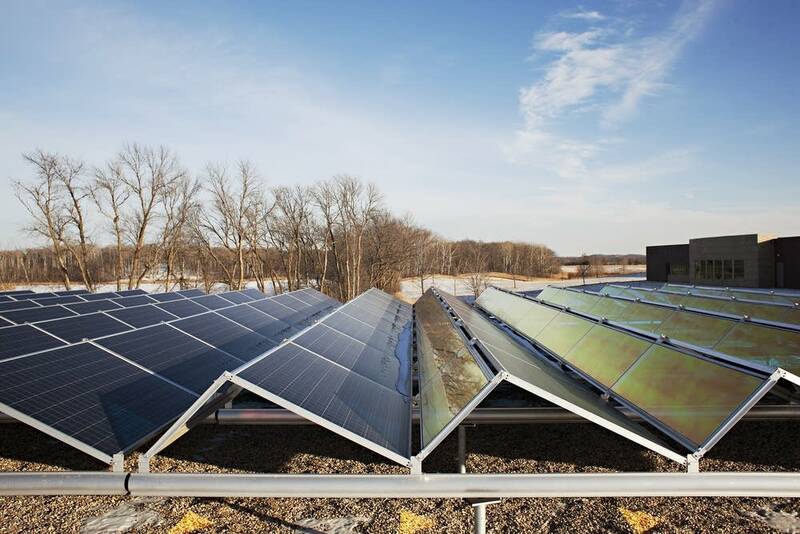 The Minnesota Public Utilities Commission determined in March that the solar project was a good way for Xcel to meet peak electricity demand on hot summer days when people are running air conditioners. The project, expected to be completed by the end of next year, also will help Xcel meet the state's solar standard. "They are looking for reliable supply for their peak days, which tend to be the hottest days of the summer," Engelking said. "Their hottest days of the summer also tend to be their sunniest days of the summer, so it aligns very, very nicely with Xcel's peak load."